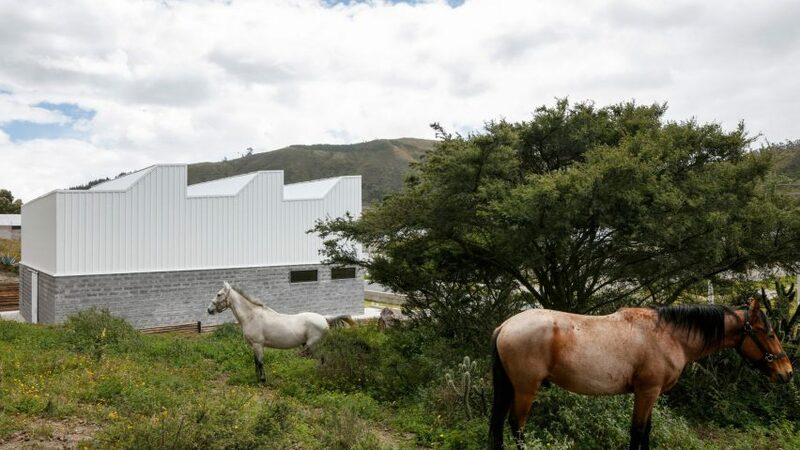 Ecuador architecture firm TEC Taller EC has constructed a warehouse with a wavy, white metal upper storey, alongside a plot of grazing horses. 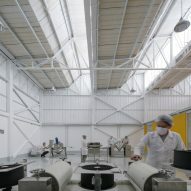 The building was completed for Mikhuna Trade, a company that supplies organic products from small farmers in Ecuador. 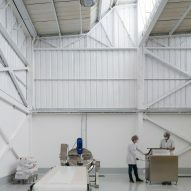 The brand also produces its own line of organic grains, including quinoa and amaranth. 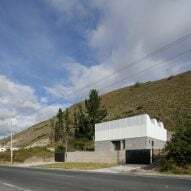 Measuring 3,229 square feet (300 square metres) with a square-shaped plan, the two-storey building is built using two primary construction materials with minimal detailing. 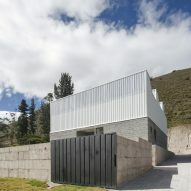 On the lower level are cement blocks, which support a frame clad in white corrugated metal that forms the upper portion. 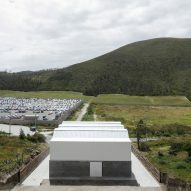 Based in Quito, Ecuador, TEC designed the project with a notable wave-like roof to add visual interest to the otherwise simple industrial facility. 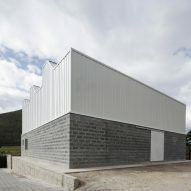 The warehouse is located in Calacalí, where the rolling grassy landscape just north of the capital forms the slopes of a dormant volcano. 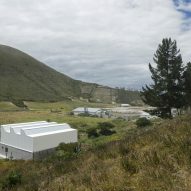 "In the need of a new space, [Mikhuna] found a place for its new headquarters, being a short distance from the Pululahua volcano," said TEC. 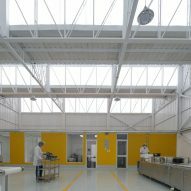 Simple in form, the facility has barely any windows across its exterior, yet is bathed in natural light thanks to skylights. 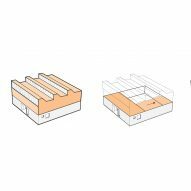 These are incorporated into the wave-like roof, where the vertical elements below the "crests" are filled with translucent panels. 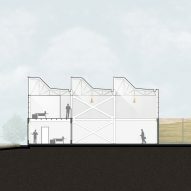 Because of this design, energy consumption inside is very low. 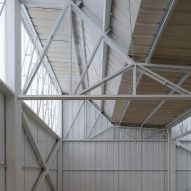 "The space works like a greenhouse open to the southeast, catching the rays of the early morning sun so that it is not necessary to heat the interior space using other means," the studio said. 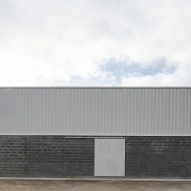 The warehouse's two levels accommodate different work spaces. 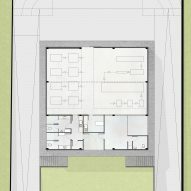 On the ground floor are offices and restrooms, with machinery located upstairs. 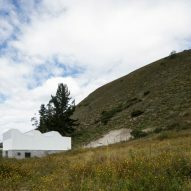 Other projects in Ecuador include a wooden viewpoint over a volcanic crater lake by Javier Mera, Jorge Andrade and Daniel Moreno and a mirrored viewing platform alongside a hiking trail by Natura Futura. 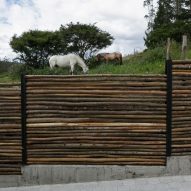 Photography is by Lorena Darquea Schettini and Paolo Caicedo.